Summer is getting closer and it is time to start planning your perfect Summer vacation. Everyone would love to go on an island getaway but sometimes it just isn’t financially available. There are some great hidden gems across America where you can find the most amazing island adventure for a fraction of the cost you usually see. This list comprises some of America’s best small island getaways for those of us on a budget. Off of the Washington coast in the Pacific Ocean you can find a wonderful island getaway to partake in kayaking, whale and bird watching, clamming or just relaxing. The island is one of many, and the second largest of the group called the San Juan Islands. Their bountiful wildlife make this island a fantastic destination for those looking to enjoy basking in the natural qualities of the Pacific Northwest. The island has many fun activities and also gorgeous inns and hotels such as the Lonesome Cove Resort, home of five lakefront properties. You will also find restaurants serving San Juan Island delicacies like freshly caught fish and baked goods. Lastly you can flex your budget at the luxurious shops that can deliver unique toys, books, fine art and even artisanal hot sauce. This destination full of family fun is a ferry ride or water taxi away from the hustle and bustle of mainland stresses. Only a short trip from Florida brings you to North Captiva island to enjoy the island landscape without leaving the US. This island getaway is not only affordable but packs tons of fun for both kids and adults. Families can enjoy the ice cream shop or paddle boat rentals. The beach is wonderful for nature hikes and relaxing with the sounds of crashing waves. One of North Captivas great draws is their year round fishing, guests of resorts can take advantage of chartered fishing tours. Learn where the local spots are, partake in some bird gazing or ride your bike about town and explore. North Captiva is a relaxation destination fitted with tons of fun. Not only is Avery Island a glorious spectacle of natural landscape but it is also the home of Tabasco hot sauce. 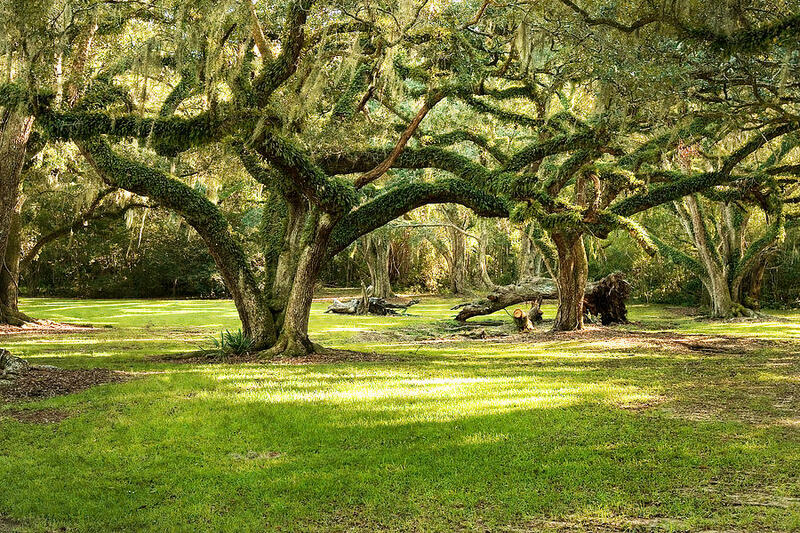 The ‘island’ sits atop Louisiana marsh land and harbors gorgeous oaks, Spanish moss, wild muscadine and other subtropical plant life. The Jungle Garden is privy to 170 acres of natural, protected wildlife. Apart from the exciting plant life you may see an alligator and deer. If you prefer bird watching you can visit the Bird City wildfowl refuge. For the hot sauce lovers, schedule a factory tour at Tabasco. You can view a movie on the history of the sauce, go on a trip through the bottling and processing factory and check out the country store. Pick up your Tabasco souvenir, view some Louisiana wildlife and enjoy a Southern island getaway. Absolutely private, Eagle Island is not only an ideal place to unwind but also to be absolutely alone. The company that rents this beautiful property on the Georgia marsh will give you a boat ride to and from your vacation heaven. While there take part in crabbing, fishing off of your private dock, boat rentals and kayaking. The home also has a 1500 foot wrap around porch and a hot tub to promote a totally tranquil setting. The company offers packages that cater to specific times and events that could help you save some money. You can check out their full moon package, a girls’ or guys’ getaway, anniversary or wedding and even a kayaking adventure. This is a fantastic island option for those looking for a bit more privacy. Everyone has either seen a movie with a Hawaiian vacation or been forced to look through a friends Hawaiian vacation photos. Well, take a look at going yourself. Molokai, Hawaii is a phenomenal look into ‘old’ Hawaii with natural rainforest landscape. This isn’t an old Hollywood glitz vacation destination, this is a true representation of ‘aloha spirit’. Visitors of the island can enjoy the natural landscapes at the Kalaupapa National Park and take a mule ride from 1700 feet to shoreside. Molokai offers everything you may need on your vacation in true laid back Hawaiian style. They have a rich arts culture and also tons of options for family fun. Play golf with the boys or plan a romantic getaway with your love, either occasion will be perfect on Molokai. Cara Wietstock is a Southern California native addidicted to travelling the road “less taken”. She enjoys writing and living an exciting and holistically oriented lifestyle. Find her on Google+.